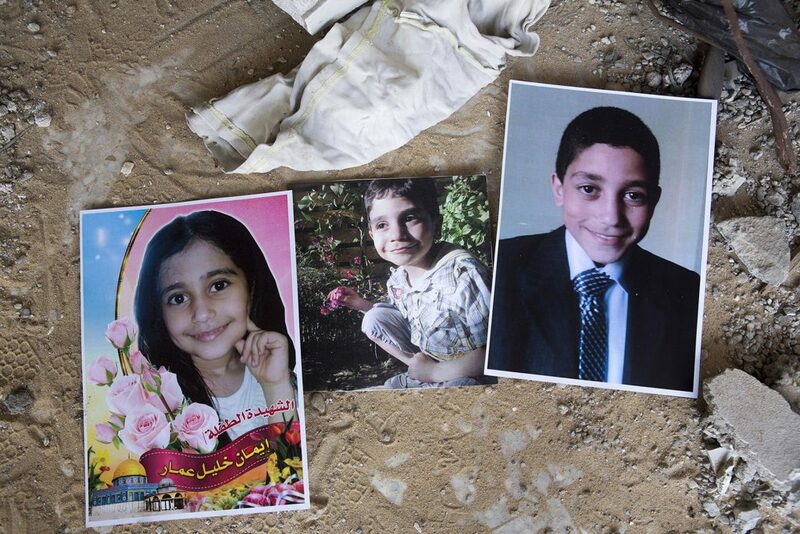 Photo: Photos of the three Ammar children , spread on the floor of the destroyed flat in which they were killed, in the Rimal neighbourhood of Gaza City. From left to right: Iman (8), Asim (4) and Ibrahim (12). The attack left 11 people from the Ammar, al-Hallaq, and Juma’ families dead. One of the missiles that struck the al-Hallaq house penetrated into the flat of the al-Ammar family below and exploded, killing four children who were watching TV at the time. “Our life is not the same. Everything changed. We think of them all the time,” Nawal, their mother, explains. “I don’t believe Israel will be held accountable because it has committed so many crimes since 1948 – Deir Yassin and other massacres – and they were never punished,” she adds. 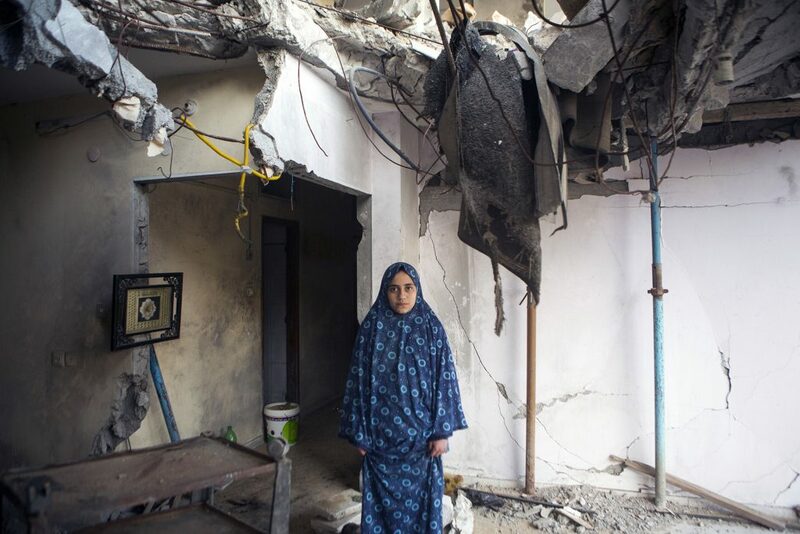 Photo: Nour Khalil Ammar (15), who survived the attack, is standing in the middle of her destroyed home, where her three siblings were killed. Nour sustained leg and eye injuries and still has shrapnel in her body.